The best DAW- Digital audio workstation for you. 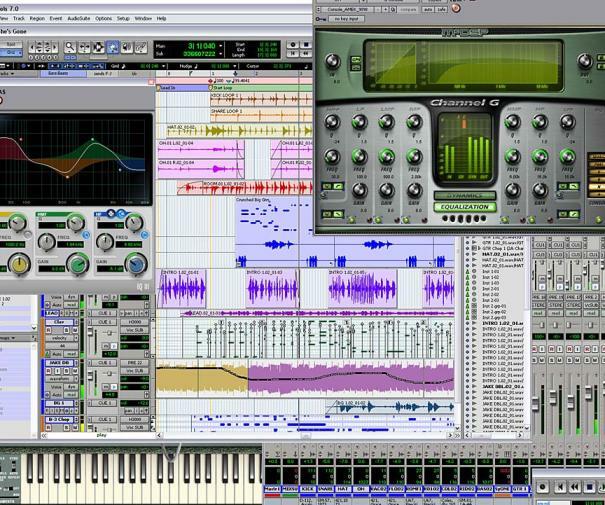 A Digital Audio Workstation, abbreviated as DAW, is a comprehensive system which helps in audio recording, editing and play back. DAWs are classified into ones ranging from basic single-track sound editors to advanced multi-track editors. 1. Computer: A computer connects the sound card(audio interface) and audio software. It also provides the necessary power for all audio related process like editing, recording and mixing. 2. Sound card (the audio interface): an audio interface device translates analog sound into digital format; and vice versa during playback. Simply put, the audio interfaces lets you record your vocals/instruments into the computer and then lets you hear your recordings back on your speakers. 3. Digital sound editor software: This is the heart of the Digital Audio Workstation. All recording, editing and mixing is done on the sound editor software. It also controls the functions of all associated hardware. Most software-based DAWs today feature wide-ranging MIDI recording, mixing, mastering and playback abilities; while few also include minor video-based features. Let us have a look at the DAWs available in the market: The most famous ones on the market are Pro Tools, Logic, Cubase, Sonar, Digital Performer, Adobe Audition, Abelton Live and FL Studio. 2. Steinbergs Nuendo(and Cubase, the less expensive smaller brother): Provides complete solution for music production and audio post production. Does not need any specialized hardware to run. One of the favoutire among musicians and Audio post productions studios. Comes bundled with great synths and Effect plugins. 3. Logic Studio Pro : The Mac’s equivalent of Nuendo. Great all round software , Bundled with great plugins and vst instruments. 4. Cakewalk’s Sonar which has been improving its interface and capabilities. 5. Samplitude is another good option. 6.Then there are special DAW’s which are geared more towards music production then audio post production. These include Propellerhead’s Reason , Image Line’s Fruity Loops and Ableton’s Live. These are not full featured as the other expensive ones. 2. Macaw is a music program that runs on Microsoft Windows. It has a large number of built in synths and effects, and can also play soundfonts. 3. The MusE Sequencer is an audio application that includes midi and audio sequencer with mixing and editing capabilities. 4. Rosegarden has lots of audio features like audio mixing plugins, MIDI matrix editor etc. MAC or PC: Many of the DAWs are compatible with only one of these environments; hence you will have to ensure compatibility before selecting the right software and hardware. Investment A state-of-the-art DAW might cost you several hundreds of dollars. Go for one of the biggies if you are ready for that level of commitment and expenditure is not an issue; else consider using cost-effective alternatives like Sonar or Samplitude or even the free ones. However, the cost is justified if you are looking for professional quality output. Learning Curve If you want to begin with an easy-to-operate DAW for beginner, you may go for simple less expensive ones; else if you love challenges and serious commitment, go for an advanced one. To gauge the performance of a DAW based on its popularity is disputable. However, due to technological advancements, most popular DAWs provide equivalent quality of output. The most important aspect of choosing and operating a DAW is to learn to use it like the back of your hand. Once you get the hang of your Digital Audio Workstation and achieve a smooth workflow while operating it, you will know what you need from it and derive precisely the same every time. As you get more familiar with your Digital Audio Workstation, recording and editing a song will soon be second nature to you.